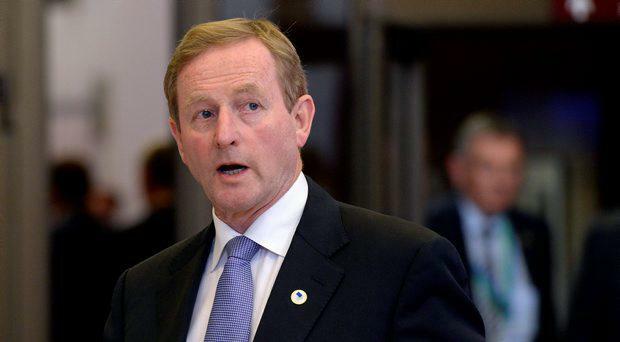 TAOISEACH Enda Kenny has said the Greek deal securing a potential third bailout would allow the country to prosper. The Fine Gael leader, who attended the all-night meeting in Brussels, said a third bailout has the potential to allow Greece to “thrive and prosper and continue to remain a member of the Eurozone”. He described the summit meeting as “realistic, frank and very pragmatic”. Mr Kenny said it was a “challenging” position for Greece, but one that Greek prime minister Alexis Tsipras had said “he is up for”. Separately, in an interview with the New Statesman, Greece’s former finance minister Yanis Varoufakis said the governments that might have been expected to be most sympathetic towards Greece – including Ireland – were actually their “most energetic enemies”. Mr Varoufakis, who resigned last week, said the “greatest nightmare” of those countries with large debts, such as Portugal, Spain, Italy and Ireland, “was our success”. “Were we to succeed in negotiating a better deal, that would obliterate them politically: they would have to answer to their own people why they didn’t negotiate like we were doing,” he said.